Aerial photography and videography can offer more than stunning visuals, with real estate agents, farmers, miners, law enforcement officers and more incorporating the technology into their careers. However, the tools, techniques and gadgets used to capture the action are often confusing and difficult to master. Thankfully, the learning curve has been made far easier with a Drone Photography & Video Course taught by Bruce Geddes, a high-level aerial videographer and photographer with extensive experience in the field. You can get a running start at unmanned aerial vehicle (UAV) photography and video for just $25 from TNW Deals. In this course, you’ll learn how to capture stunning aerial shots while learning the techniques of professional photographers and filmmakers. 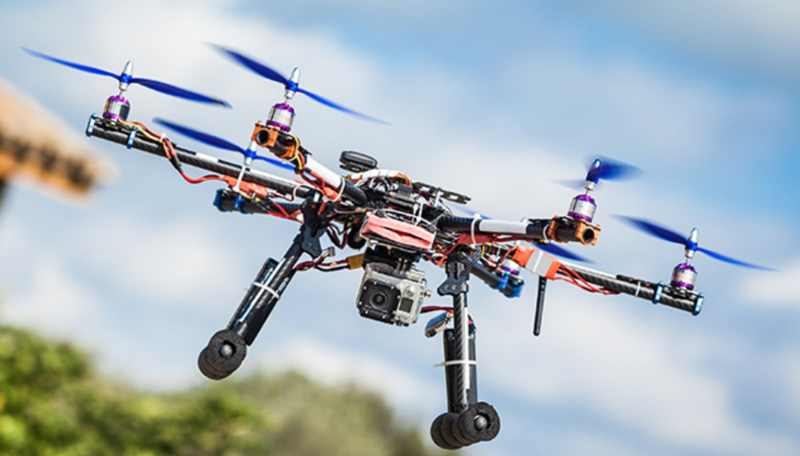 You’ll learn essential skills for controlling a UAV flight; basic flight controls and patterns, necessary equipment for successful shooting, planning and lining up the perfect shots and more. You’ll also gain an understanding of the production and post-production techniques unique and essential to aerial photography, as well as post-production touches such as music, text and beyond. Gain the skills and knowledge to confidently add epic aerial shots to your video projects with a ridiculously inexpensive course, just $25 (a full 74 percent off) from TNW Deals. Dutch company TRNDlabs has launched one of the world’s smallest camera drones, a tiny gadget called the SKEYE Pico Drone which enables flips, tricks and impressive video capture. At 29% off and available for international shipping, you won’t find a better price for your drone-flying fun. Get it now at TNW Deals. The Code Black Drone is the top-selling drone of all time, and just got a serious upgrade with HD camera capability. Enjoy stable flight and acrobatic options with its 6-axis flight control system, and capture awesome aerial footage while you’re at it – all for $99 from TNW Deals. Also available for international shipping!